“Jazz Across the Americas: Venezuela” with Edward Simon, Luis Perdomo, Jackeline Rago, Roberto Quintero, and Bam Bam Rodriguez. “3rd Annual Pueblo Harlem Hispanic Heritage Festival” with Fat Afro Latin Jazz Cats Youth Ensemble, GRIOT Youth Ensemble, and Others. 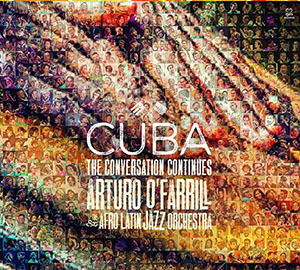 Harlem, NY — Thursday, September 10, 2015 — 2015 GRAMMY® Award winners Arturo O’Farrill and the Afro Latin Jazz Orchestra take center stage with three headlining performances throughout the month of October 2015 in New York City. Hot off the release of his historic new album, Cuba: The Conversation Continues, and recent travels to Havana, Cuba for the official flag raising ceremony with Secretary of State John Kerry, O’Farrill readies for the national “CD Release Event” featuring many prominent special guests at Hostos Center for the Performing Arts (Bronx, NY) on October 17, 2015. At the beginning of the month, O’Farrill kicks-off his season at Symphony Space with “Jazz Across the Americas: Venezuela” on October 1 & 2, 2015, and his non-profit, the Afro Latin Jazz Alliance, hosts the “3rd Annual Pueblo Harlem Hispanic Heritage Festival” in partnership with the Harlem School of the Arts at the Herb Albert Center on Saturday, October 10, 2015. For detailed information regarding O’Farrill’s forthcoming October 2015 performances, please see below. Arturo O’Farrill is available for interviews, and hi-res photos are available upon request. 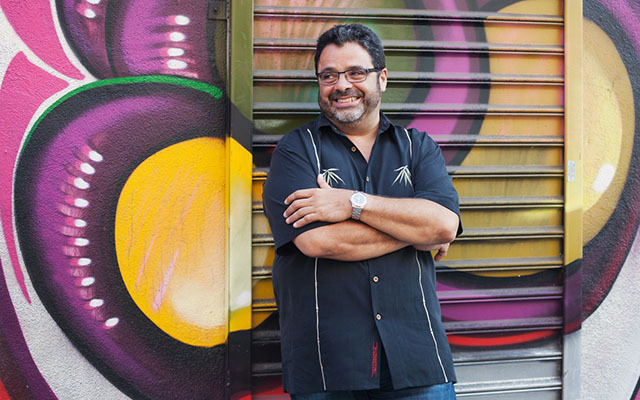 October 1 & 2, 2015 @ Symphony Space — Jazz Across the Americas: Venezuela Arturo O’Farrill and the Afro Latin Jazz Orchestra open their performance season at Symphony Space with the newest installment of their Jazz Across the Americas series, this time shifting focus to Venezuela. As always, an incredible roster of instrumentalists and composers will join the 18-piece powerhouse to bring light to a different patch in the woven quilt of jazz. The orchestra will present the world premiere of “Venezuela Unida” by Edward Simon, a Guggenheim Fellow, which was commissioned by the Afro Latin Jazz Alliance specifically for this concert. Excerpts of Simon’s “Venezuelan Suite” and two works of the acclaimed pianist Luis Perdomo will also be performed with full orchestration for the first time. Jackeline Rago (cuatro & percussion), Roberto Quintero (percussion) and Bam Bam Rodriguez (bass) round out the roster of special guests as a true exploration of jazz through the lens of Venezuela takes full form. For tickets go to symphonyspace.org or call 212-864-5400 or visit the box office. October 10, 2015, @ The Herb Alpert Center (Harlem School of the Arts) — “3rd Annual Pueblo Harlem Hispanic Heritage Celebration.” The Afro Latin Jazz Alliance and Harlem School of the Arts present Pueblo Harlem celebrating Hispanic heritage and Harlem’s cultural diversity. The free all-day festival includes performances by the Fat Afro Latin Jazz Cats Youth Ensemble, a Brazilian rhythms workshop led by the GRIOT Youth Ensemble, a lecture by Arturo O’Farrill, Afro-Cuban folkloric dance classes, visual arts and more. Closing the event at 5:30 pm will be GRAMMY® winners Arturo O’Farrill and the Afro Latin Jazz Orchestra performing classic dance tunes with vocalist Sammy Gonzalez, Jr., and a tribute to the Puerto Rican diaspora, entitled, “They Came,” written and performed by Christopher “Chilo” Cajias with music composed by Jason Lindner from the Orchestra’s 2015 GRAMMY® winning album, The Offense of the Drum (Motéma Music). 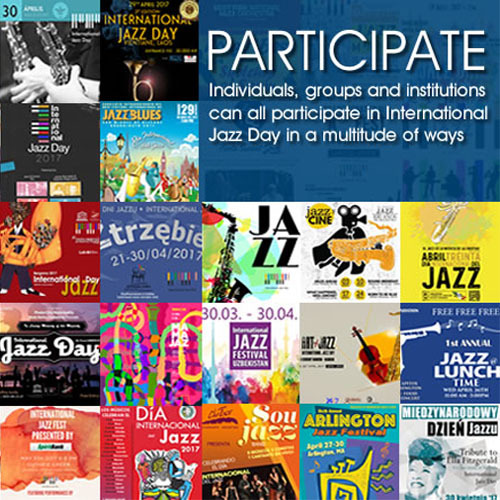 For further information, please visit: afrolatinjazz.org & HSAnyc.org. The diplomatic climate between Cuba and the United States has changed dramatically, but the work is just beginning. In the spirit of musical brotherhood, the Afro Latin Jazz Orchestra officially celebrates its album release of Cuba: The Conversation Continues in one of the most historically sacred landscapes of Latin jazz — the South Bronx. The record, already hailed as “an album worthy of its moment” by the New York Times, will be revisited as many of the recording’s featured artists will grace the Hostos stage to perform live many of the recorded songs. The legendary Bobby Carcassés will make the stateside debut of “Blues Guaguancó.” Rudresh Mahanthappa, who thrilled thousands of fans with O’Farrill’s orchestra at this year’s Newport Jazz Festival, will perform the epic “Afro Latin Jazz Suite.” To boot, the concert will also feature performances by the incomparable DJ Logic, acclaimed pianist Michele Rosewoman, and Arturo’s son Zack O’Farrill.